It seems as though each year gets a little tougher than the last. This is because over the last few years, there have been a number of celebrity icons who have passed away. Whether it was expected or untimely, it does not prepare the world for the initial shock of the news reports and obituaries that flood the Internet. 2018 is no different. We have lost several icons this year and it has not been easy. Many of these stars were young and old, healthy and unhealthy. It may have been their time to pass on, but we will never forget the impact they’ve all made on millions of people throughout their lifetime. Republican politician and U.S. Senator of Arizona, John McCain passed away at the age of 81 on August 25th, 2018. He died shortly after it was announced he would stop treatment for brain cancer specifically an aggressive glioblastoma. Neil Simon, author, playwright, and screenwriter died at the age of 91 on the morning of August 26th, 2018. Prior to his death, he had been fighting kidney failure, in addition to Alzheimer’s and dementia. Stefán Karl Stefánsson was most known for his role in children’s TV show LazyTown. He passed away on August 21st, 2018 after a two-year battle with bile duct cancer. He was 43. Barbara Harris was well-known for her role in the 1976 film Freaky Friday. She died on August 21st, 2018 at the age of 83 after a battle with lung cancer. Aretha Franklin’s death shook the world as reports surfaced she had passed away at the age of 76. She died on August 16th, 2018 from a number of health complications that had rapidly worsened over the years, including pancreatic cancer. Jill Janus, the lead singer of the rock band Huntress, sadly died by suicide on August 14th, 2018. She was 43. Morgana King died on March 22nd, 2018, but reports of her passing did not surface until August 14th, 2018. The actress died from non-Hodgkin’s lymphoma at the age of 87. Jim ‘The Anvil’ Neidhart’s death was announced on August 13th, 2018. He was 63 years old and the cause of death was due to a head injury when he fell at his home. Joel Robuchon died at age 73 on August 6th, 2018 from cancer. He was diagnosed with a pancreatic tumor over a year prior. The Diff’rent Strokes and The Facts of Life actress died on August 5th, 2018 at the age of 92. She was diagnosed with bone cancer in April of 2017. Jessica Vogel, a professional chef who starred on Hell’s Kitchen and Cutthroat Kitchen, died at the age of 34 on July 30th, 2018. She was being treated for inflammatory bowel disease when her heart just gave out. Brian Lawler was found hanging in his prison cell in the Hardeman County Jail on July 29th, 2018. He was 46 years old. Nicholas ‘Duffy’ Fudge was a cast member on National Geographic Channel’s Wicked Tuna. He was 28 when he died on July 22nd. No official cause of death was released. Elmarie Wendel was announced dead on July 21st, 2018. She was 89 years of age and no official cause of death was released. Annabelle Neilson, an actress of Bravo’s reality show Ladies of London, died on July 12th at age 49. It was reported that she died of a heart attack. Tab Hunter died of cardiac arrest on July 8th, 2018 at the age of 86. He is remembered most for being a natural Hollywood heartthrob. Richard Swift, a member of The Black Keys, passed away on July 3rd, 2018. He was 41 years old and the cause of death was reported to be hepatitis and other health complications relating to his alcohol addiction. Alan Longmuir died on July 2nd and he was 70 years old. His cause of death was not revealed. Joe Jackson, who was most known for being Michael Jackson’s father and manager of the Jackson family, died on June 27th, 2018 at the age of 89. He had been battling terminal pancreatic cancer. Known for starring in the hit TV show Pawn Stars, Richard Harrison died on June 25th, 2018, at the age of 77. He had been battling Parkinson’s disease. Famous drummer Vinne Paul, who played in bands like Pantera, Damageplan, and HELLYEAH, died at the age of 54 on June 23rd, 2018. He reportedly died of a heart attack in his sleep. Fox News commentator and conservative columnist, Charles Krauthammer, died on June 21st, 2018 at age 68. He reportedly passed away due to cancer of the small intestine. Sophie Gradon, who starred on the British reality dating show Love Island was reported dead on June 20th, 2018. She was 32. Her death was ruled a suicide. Leon White was known as Big Van Vader, or just Vader, to his fans. He passed away on June 18th, 2018 of heart failure. He was 63. Georgann Johnson, who was best known for her roles on TV and on Broadway, died at the age of 91 on June 4th, 2018. There was no official cause of death released. D.J. Fontana, who was best known for being Elvis Presley’s drummer, died on June 13th, 2018 at the age of 87. He passed away in his sleep after being in poor health after a hip fracture. Jackson Odell, best known for starring on ABC’s The Goldbergs, died at the young age of 20 at a sober living agency. He was found unresponsive on June 8th, 2018. Anthony Bourdain, an award-winning author, chef, and more, died at the age of 61 from an apparent suicide. His death was announced on June 8th, 2018. Alan O’Neill, best known for acting in Sons of Anarchy, was reported dead on June 6th, 2018. He was 47. He had been dealing with coronary artery disease. Fashion designer Kate Spade was reported dead on June 5th, 2018 from an apparent suicide. She was just 55 years old. Frank Doubleday, who was best known for his role in Escape from New York, died at the age of 73 on March 3rd, 2018. His cause of death was from complications of esophageal cancer. Former Deadliest Catch captain Blake Painter was reported dead on May 25th, 2018. He was 38 years old. There was apparently an assortment of pills at the scene in addition to other drug paraphernalia. Writer Tom Wolfe passed away on May 14th, 2018 at the age of 88. He had apparently been hospitalized with an infection. Margot Kidder passed away on May 13th, 2018 at age 69. Her cause of death was ruled a suicide. She is best known for her role as Lois Lane in Superman: The Movie. Scott Hutchinson, the lead singer and guitarist for the band Frightened Rabbit, was announced dead on May 10th, 2018. He was 36 years old and his death was ruled a suicide. The filmmaker Carlos Carvalho died on May 3rd, 2018 after suffering an injury received on set by having a run-in with a giraffe. He was only 37 years old. The official announcement of Pamela Gidley’s death came on April 29th, 2018. She was 52 years old and the cause of death was not officially disclosed. Verne Troyer died at the age of 49 due to an apparent alcohol poisoning. The statement on his death was released on April 21st, 2018. Avicii, Swedish deejay, died on April 20th, 2018 at 28 years old. His death was ruled a suicide. Bruno Sammartino, a WWE wrestler, died on April 18th, 2018 at age 82. He was dealing with multiple organ failure due to heart issues. Former first lady Barbara Bush passed away on April 17th, 2018 at the age of 92. She had been undergoing a series of hospitalizations over the years, and soon announced she would no longer be continuing medical treatment. Harry Anderson died on April 16th, 2018 at the age of 65. Reports have said that Anderson suffered a stroke. Matthew Mellon passed away at a rehab facility on April 16th, 2018. He was 53 years old. He apparently suffered a heart attack after consuming a hallucinogenic drink. R. Lee Ermey died on April 15th, 2018 from complications of pneumonia. He was 74 years old. Yvonne Staples was a member of the gospel group, the Staple Singers. She died on April 10th, 2018 following a battle with colon cancer. She was 80 years old. Susan Anspach died on April 2nd, 2018 at the age of 75. The cause of death was a coronary failure. Winnie Madikizela-Mandela died on April 2nd, 2018 after a long illness at the age of 81. Steven Bocho died after battling leukemia on April 1st, 2018, at the age of 74. Stephen Hawking died on March 14th, 2018 at the age of 76. He passed away from Lou Gehrig’s disease. The designer of Givenchy died in his sleep at the age of 91 on March 10th, 2018. Emma Chambers died on February 21st, 2018 at the age of 53. It was reported that she died of natural causes. Nanette Fabray died on February 22nd, 2018 at the age of 97 of natural causes. Billy Graham, an influential Baptist preacher, died on February 21st, 2018 at the age of 99. He had been treated for cancer, pneumonia, and other ailments in recent years. He was also diagnosed with Parkinson’s disease in 1989. Daryle Singletary died on February 12th, 2018 at his home at the age of 46. A cause of death has not been released. Vic Damone died on February 11th, 2018 at the age of 89. He had been battling a respiratory disease. John Gavin died on February 9th, 2018 at the age of 86. He died from complications of pneumonia. John Perry Barlow, a lyricist for the Grateful Dead, died on February 7th, 2018. He was 70 years old when he died in his sleep. Mickey Jones died on February 7th, 2018 at the age of 76. Reports say that he died after a long illness. John Mahoney died on January 4th, 2018 at the age of 77. He apparently had head and neck cancer. 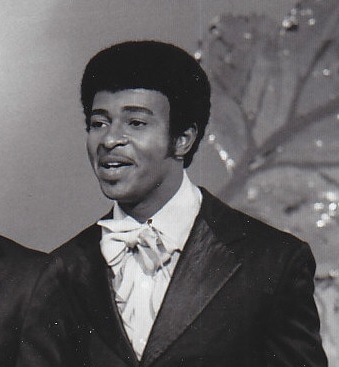 Dennis Edwards of the Temptations died on February 2nd, 2018 at the age of 74. He apparently was battling meningitis. Mark E. Smith of English post-punk band The Fall died on January 24th, 2018. He was 60 years old. He died after a battle with lung cancer. Olivia Cole died on January 19th, 2018 at the age of 75 from a heart attack. Joel Taylor (pictured in the red shirt), who starred on Discovery Channel’s Storm Chasers, died on January 23rd, 2018 at the age of 38. It was revealed that the cause of death was a drug overdose. Hugh Masekela died on January 23rd, 2018 at the age of 78 after a battle with prostate cancer. Simon Shelton Barnes, best known for being the original actor of Tinky Winky on the Teletubbies TV show, died on January 17th, 2018 at the age of 52. He apparently died from hypothermia. Connie Sawyer died at the age of 105 on January 21st, 2018 of a heart attack. Naomi Parker Fraley, best known for her role as the iconic Rosie the Riveter during World War II, died at the age of 96 on January 20th, 2018. She had been battling cancer. Jerry Van Dyke died at the age of 86 on January 19th, 2018. His health had been deteriorating over the years after a car accident back in 2015. Dolores O’riordan died on January 15th, 2018. She was 46 and the cause of death has not yet been released. Bobby Zarin, the husband of Jill Zarin of Real Housewives of New York City, died on January 13th, 2018 after a battle with cancer. Eddie Clarke died at the age of 67 on January 10th, 2018 of pneumonia. Rayya Elias died on January 4th, 2018 following a battle with pancreatic and liver cancer. She was 58 years old. Please SHARE this article to honor the legacy of these 75 beautiful men and women who have passed. May they all rest in peace. The post In Memoriam: The Stars We’ve Lost In 2018 appeared first on Do You Remember?.